Did you compete? Check your scores! Did you compete in a recent match? Check your scores! 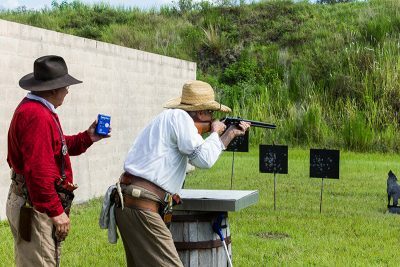 OK Corral Gun Club is south central Florida’s premier shooting sports club and western town, hosting 10 outdoor shooting venues, mining town cabins, recreational and event facilities spread across 350 acres of land. 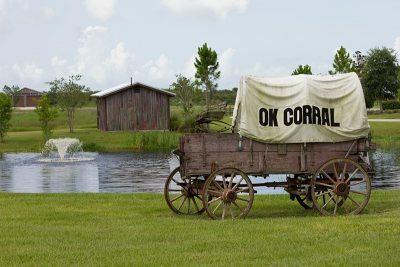 The OK Corral Outlaws have their monthly match on the 4th Saturday of the month. Match registration is 8:00 am to 8:45 am. 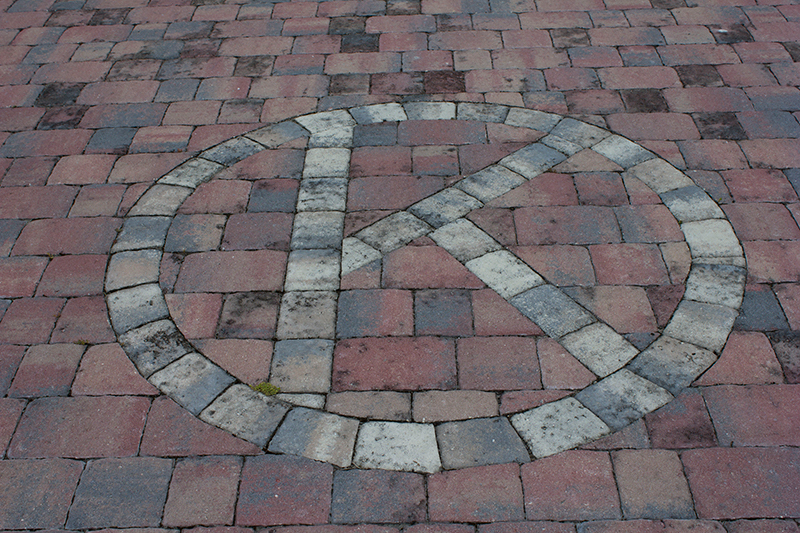 A mandatory safety meeting begins at 8:55 and shooting starts at 9:00 am. Hope to see you there! 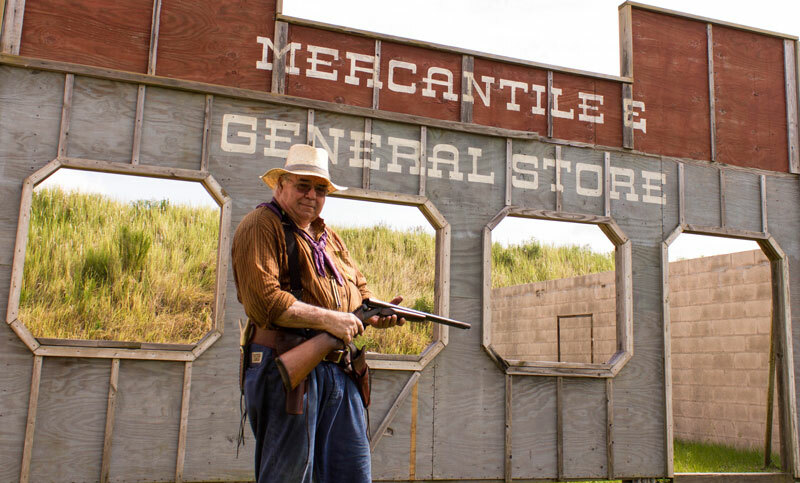 The shooting competition is staged in a characterized, “Old West” style using single action revolvers, lever or pump action rifles and shotguns. It is a timed and accuracy sport in which shooters compete for prestige on a course of multiple stages. We are a Cowboy Action Shooting Club affiliated with the Single Action Shooting Society (SASS). Cowboy Action Shooting is a family oriented sport that embraces two primary facets of the old west, shooting and costuming. Named after the Wild West’s famous 30 second gun fight in 1881, OK Corral Gun Club is situated on a 350-acre site in Okeechobee, Florida. 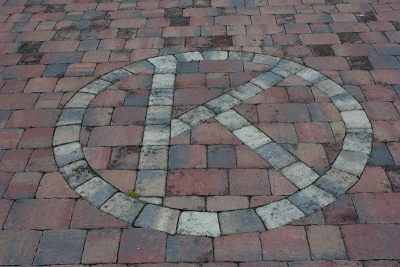 This land was settled back in the early 1800’s as grazing lands for cattle back when Okeechobee was the home to European settlers. 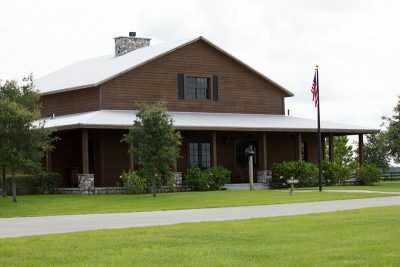 It is now repurposed to being the premier shooting sports club and western town in south central Florida. Housing 10 outdoor shooting venues, mining town cabins, recreational and event facilities, and so much more spread out along the land. Hey there Cowpokes, it’s time to put them six shooters, rifles, and shotguns to use at our annual SASS event “Shootout At The OK Corral”. In this event shooters will test their steel in action stages where it all comes down to their speed and accuracy to see who’s the real best shot in the west. 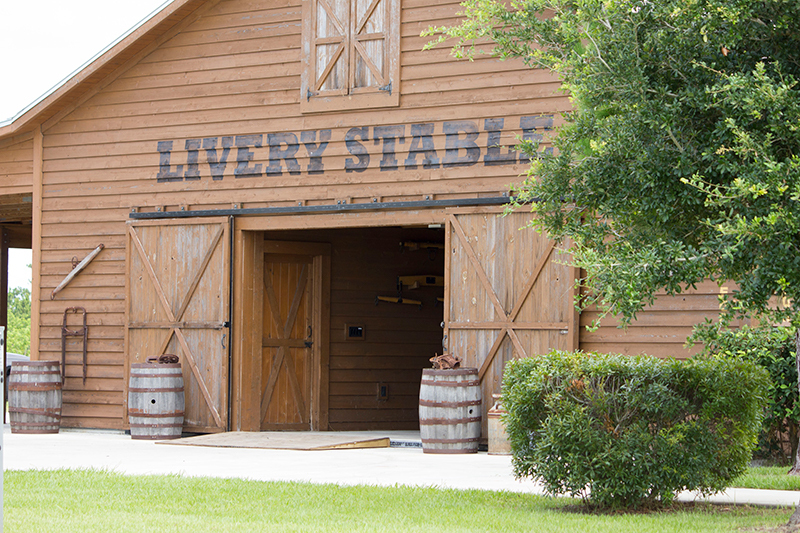 Roam about our cowboy action town and grab some fine grub at our Chuckwagon lunch where you will get to try out the same foods the cowboys ate while ranching their lands. This event is going to be one heck of a ho down. We look forward to seeing y’all out there! This year’s annual theme: “Legends of the Day” provides tales, biography, and in-depth history into the lives and times in the American West. From outlaws, to gunfighters, to lawmen, to the American cowboy. Legends here in Tombstone, but not involved with the famous gunfight. Submit Application, Waiver with necessary payment prior to January 17, 2019. For mailing information, please see the instructions included on the Application form. 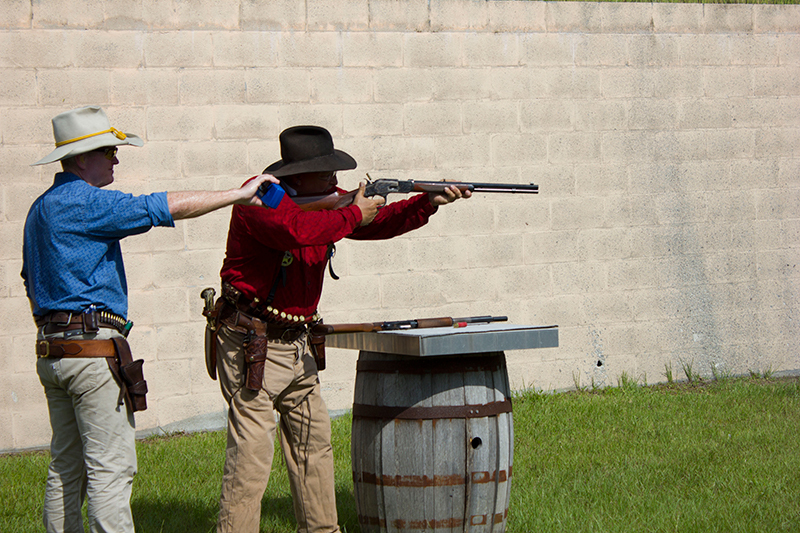 Please visit the OK Corral Gun Club website for more information on the facilities available. THE HOME OF COWBOY ACTION SHOOTING The Single Action Shooting Society (SASS) is an international membership organization formed in 1987 to preserve and promote the sport of Cowboy Action Shooting™. 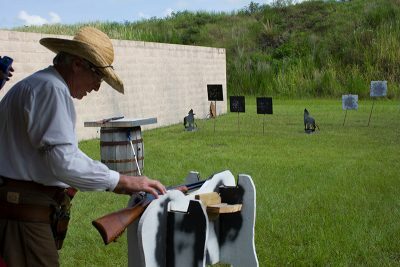 The OK Corral Gun Club is south central Florida’s premier shooting sports club and western town hosting 10 outdoor shooting venues, mining town cabins, recreational and events facility and so much more spread out along our 350 acres real Florida country land.